It was my pleasure to be featured recently on Scott Wells’ The Magic Word Podcast. 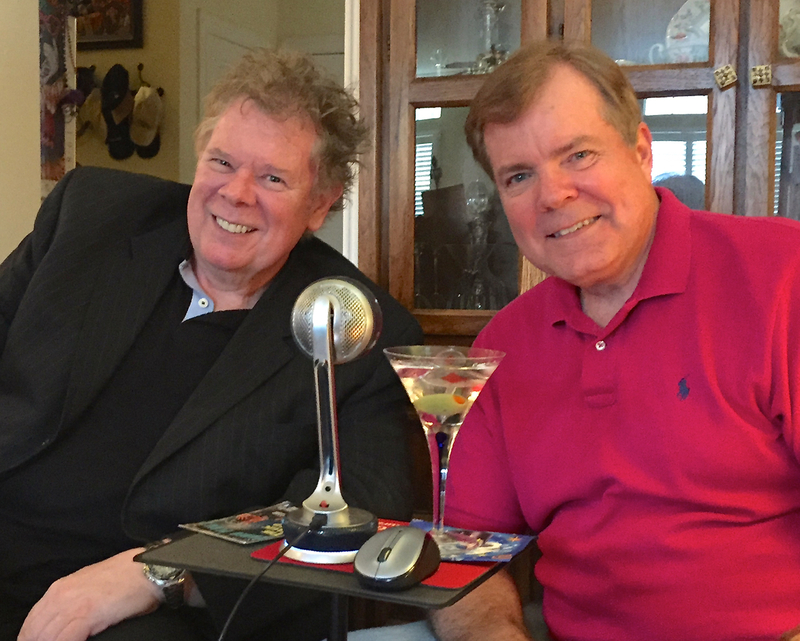 Possibly encouraged by the excellent martinis that Scott provided during the taping I shared some fun stories about myself and my mentors Billy McComb, Ken Brooke and Maurice Fogel. Here is Scott’s promotional blurb and link to the podcast. I encourage you to check it out. Scott’s podcasts are just getting better and better with his recent two parter with Paul Daniels a true delight! Nick Lewin is one of those working magicians who has “been around the block” more than a couple times. All of you who read this fine New Zealand e-zine are familiar with Nick’s continuing contributions with his “Remarkable Magicians” series that appears weekly. He is also a contributing editor to VANISH magazine. But there are perhaps many other sides to Nick you may not know such as that he was the first, afternoon magic show in Las Vegas for many years, pre-dating Mac King. In fact, Mac took Nick’s place as he returned to the high seas. Over his many years (and I say “many” because he just passed another one recently with a birthday last week – Happy Birthday, buddy) he has befriended many great magicians including Maurice Fogel, Billy McComb, Ken Brooke and others. On this week’s podcast, Nick tells us story after story of his “storied” life which I know you will find fascinating plus I think you might even learn a thing or two along the way. You can read the blog, see some photos, hear the podcast, or download the MP3 file at: http://themagicwordpodcast.com/scottwellsmagic/nick-lewin Of course, and as usual, you can always download the podcast through the iTunes store. ~ by Nick Lewin on March 1, 2015.